This is the continuation of the Creating a Database tutorial. After creating your database, you can follow this tutorial to learn how to create a table inside of it. In this tutorial, I'm going to use PHPmyAdmin which is available in many hosts including mine,Dreamhost. 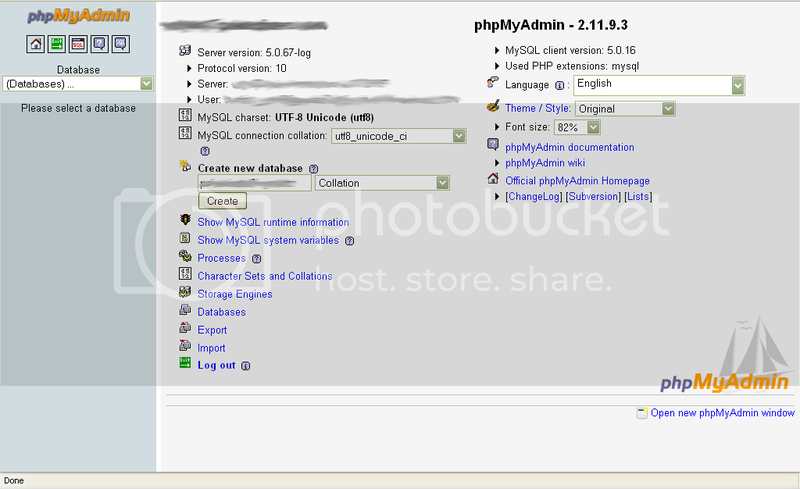 In addition, your host needs to support PHP and MySQL. See the drop down list on the left navigation? Select it and click on your database. Hold on! This won't do anything! "Create the table" is the command to create the table inside the database, "name" is the name of the table. This code will create the database with a date that you can insert.